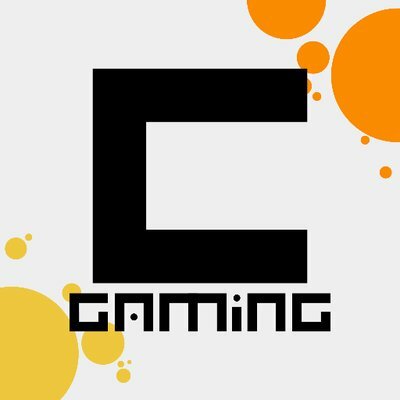 Let’s Interview; Mario Maker Expert and Gaming YouTuber Ceave Gaming! Wow, would you look at that? Not even two days after our last interview, and we’ve already got another one ready to go here on Gaming Reinvented! It’s certainly a quicker turn around than before, and we hope to keep it up going forward from this point on. And we’re not getting lazy with the choices either. Nope, because today’s interviewee is someone a little different from the others we’ve talked to in the past. You see, they’re not just a gaming YouTuber or game developer. They’re both at once, with videos both showing amazing custom Super Mario Maker levels and game design insights all on the same channel. Yep, today’s interview subject is Ceave Gaming, Mario Maker level creator extraordinaire and game design enthusiast over at YouTube. Known for his interesting gimmick levels in Mario Maker, he’s racked up over 62,000 subscribers since starting on the site in January 2016 and shows no signs of stopping any time soon. And so, let’s talk to him, and find out exactly what it’s like creating these amazing levels in Nintendo’s level editor! Starting with a bit of personal background. Who are you? I’m Ceave, I run a Mario Youtube channel with a special focus on Mario Maker. Yeah, there is no website because Ceave Gaming didn’t exist before. I started uploading videos to the channel and didn’t really expect anything, so the brand for the channel developed over time. I wanted to have the thumbnails of the videos to be very similar so that it’s possible to tell that a video is by me just by looking at the thumbnail, and I wanted the thumbnails to feel like the vids are creative so I came up with this drawing style which makes the thumbnails look consistent. Either way, how did you first get into gaming anyway? Hm, that’s hard to answer for me. I grew up with video games around me, my older brother got a Nintendo 64 to release when I was about 6 years old, and since then I’ve always been playing games. I believe the first Mario game I ever played was Super Mario Land for the original game boy in all its brick sized glory. No idea how old I was when I first played it, but I do remember that I wasn’t able to make it past the second stage, and that I thought my father was a Mario god because he was actually able to beat the first boss. The first Mario game I really remember playing was Mario 64. Still, onto Mario Maker now. What was your first thought on the game, when you realised that yes, Nintendo was making an official Mario level editor? Honestly, I wasn’t really that excited at all. I was a little bit disappointed with my Wii u at that time and didn’t follow Nintendo’s announcements as close as I do now. I just stumbled over the news that the game was coming somewhere on reddit a couple of weeks before release. The concept really interested me, but I wasn’t super hyped or anything. The only reason I got the game at release day was that I happened to be really bored that day and saw that it was the day Mario Maker released. So, I went out and bought it. When you did play it, what were your initial reactions to the whole thing? I really liked it. It was something along the lines of, wait a bullet blaster bounces on top of a spring? How cool. Wait, I’m able to put a spring into the blaster? Awesome! I was just really excited how many ways there were for the different objects to interact with each other. Had you ever made your own levels before then? Like say, with tools like Lunar Magic or Super Mario Bros X? Yeah, I’ve been toying around with such tools since I’m old enough to use them. I put hundreds and thousands of hours into the RPG Maker as a kid. I believe I started using it when I was eleven. When I was a little bit older I started to toy around with the game maker and I have spent even more hours in front of this tool. It blew me away as a teenager that there was a tool that allowed anyone to make games! I’ll probably never forget how excited I was when I finally understood what switches and variables were as a thirteen-year-old and I was finally able to make a treasure chest in RPG Maker that only rewarded its content the first time when opened! And when you did start to realise the possibilities Mario Maker had? When did you realise these complex machines could be created via the level editor alone? The first time I really realized what an enormous potential the game had, was when I tried to create a puzzle stage and noticed that a firebar ignites a Bob-omb. Then I toyed around a little bit more with it and noticed that every fire source ignites Bob-omb. Lava Bubbles, Fire that Yoshi spits, Burners… even Cheep Cheeps that fell into lava! So, it’s possible to put a Lava Bubble into a Bullet Blaster, and then to block the Blaster from shooting. But once Mario found a way to get the Blaster to shoot, this Bubble could ignite a faraway Bob-omb to open a door. That’s some really cool stuff! Above: Super Mario Maker is clearly a ‘systemic’ game, as defined by Mark Brown’s above video. It’s actually surprisingly easy! There are certain tricks possible in Mario Maker, and new ones are found constantly. Like we know how to test for Mario’s vertical position, we know how to count when a room is loaded, how to test if Mario is wearing a power up, how to close a door once Mario walked through it, how to randomize stuff and so on. Most of these things can be wired together. So, if we want to create something really crazy all we need to do is to add tricks together. 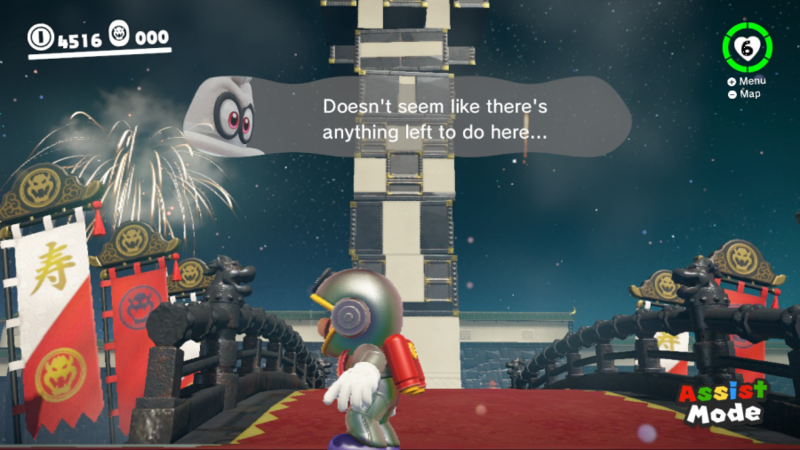 For example, we can create a level where Mario has to survive three minigames in a row, the minigames are chosen randomly, Mario always returns to the previous room but minigames he already played become deactivated and there is a hidden mushroom detection contraption that counts up to three and opens up a secret exit if Mario never took damage. Such a level would be almost impossible to design from scratch, but if we know all the tricks from before it’s suddenly really easy! In fact, they remind me of programming, in a very rudimentary sense. Did you have any experience with programming before building Super Mario Maker levels? Yeah, I have been programming for fun since I first started using game maker and I have studied computer science for a couple of semesters, so I’m familiar with most basic coding concepts. It’s a mix of a lot of stuff. Sometimes there’s just something I always wanted to create, sometimes viewers ask me if I could look into something, sometimes I just stumble over a really cool concept while playing a level and want to try how far this can be pushed and sometimes I just believe a certain idea would get tons of clicks on YouTube if I find a way to pull it off. Either way, no one’s perfect, and I’m guessing you’ve had a few cases where your ideas don’t work out here too. Do you remember any instances where you had an interesting idea for a Mario Maker ‘gimmick’ and then realised it just wasn’t going to work the way you expected it would? I spent way more hours than I’m willing to accept, trying to create a Tic Tac Toe game in Mario Maker. Then there was this time when I tried for a whole weekend to recreate Tetris, which hasn’t worked out … yet. Oh, and a two player Mario Party stage is also surprisingly difficult to implement! How about the opposite? Any creations you’d consider your favourites here? Yeah, the randomized roguelike stage is probably my favourite! What about Mario Maker creations from other authors you think are really impressive? Do you have any examples of those? There are so many of them! All the stages that were featured in the 2YMM event were incredible! I remember one of these stages played heavily with Mario’s momentum when jumping off of moving objects. That was such a great stage! Then there are the level of the week levels in the Mario Maker reddit, most of them are incredibly well done as well. Not to mention all those really talented guys that just put out some awesome levels, without anyone really taking notice. I stumbled into so many great stages when just browsing the bookmarking site! Still, Mario Maker’s getting on a bit now, and I’m sure many people agree it’s time for a sequel or updated version for Nintendo Switch. What do you hope such a game would have? Phew, there is a lot that I want a sequel to have! First of all, better playing and filter options for online play. While the Mario Maker editor is really well done, the play side of things is really lacking. Additionally, I also want them to add new items to the editor. I actually care less about which items they add, but more about that these items keep interacting with everything else, and have a lot of potential uses, beside their obvious use. I would also love to have more options to build logical functions. The most important things missing are probably two state blocks, or some simple way to make a certain block appear and disappear that isn’t a p-switch. Such a block is all that is missing in order to create actual computer circuits. Oh, and they really should make the items limitations less draconian. 100 enemies simply aren’t enough. Above: Super Mario World’s ‘On/Off’ switches plus switch blocks would fill the role Ceave mentions. Outside of Mario Maker, you’ve also started making more videos about other Mario titles too, like Super Mario Odyssey. Do you feel it’s a fantastic game that lives up to 64, Sunshine, Galaxy, etc? What moments have you really enjoyed in said title? The movement and the exploration. Just having these open and interesting areas, tons of ways to move through them and something to discover under every rock was a ton of fun for me! Any areas you feel Nintendo could have improved things there? There is always room for improvement but there isn’t a single thing I would say they really messed up. A couple more stages would have been really cool, but that’s probably a little bit much to ask. The only areas that might have needed a little bit more work are the separate platforming challenges. A lot of them are really uninspired and they never even come close to the creativity of the platforming levels in 3D world or Galaxy 2. One thing you mentioned in a recent video was Mario Odyssey’s bosses being better because they didn’t require you to slow down and play as ‘passively’ as in past Mario game boss fights. But the idea of a boss you can constantly keep attacking and fighting at your own pace isn’t too new, as seen in Mega Man, Contra, Castlevania, Cuphead etc. Did you enjoy the bosses in these types of games more than in the Mario ones? Yes, I did, but the comparison isn’t fair in my opinion. Those are games that have shooting or dedicated combat mechanics. The real challenge is how to create an engaging boss without combat mechanics. Only jumping. That’s something very few games managed to pull off. Odyssey found a way to have more of a real fight against the Broodals, and didn’t use the old attack phase, defence phase trick. That made them really stand out in my opinion. Another game that did this even better than odyssey is A Hat in Time. The boss fights there the best ones I’ve ever seen in a platformer! Above: Some awesome bosses from A Hat in Time. And talking of other games and series… any others you really like, outside of Mario? There are tons of them! I play pretty much anything that isn’t a first-person shooter. I love Minecraft, I adore the Souls games, The Witcher 3 is great, all main Zelda games are awesome, there are so many great indie games, like Celeste or Hollow Knight or Factorio. I love the Mario games, but there are so many incredibly well-done games out there that manage to be enjoyable even if they feature no plumber at all, it’s amazing! Still, onto the YouTube channel side now. What made you start up a channel anyway? When I got the game, I spent about three weeks creating a seven-level long Zelda game in Mario Maker and discovered a lot of cool tricks while doing so. I was really proud of these stages! Then I uploaded the levels, and no one played them. That was super frustrating! So, I was facing two options: Either accept my defeat like an adult, or order a capture card, make a couple of videos showcasing a couple of the tricks I used in those stages and try to get some of my viewers to play the stages. I did the latter. Did you expect it to become as popular as it has, or your videos to get tens or hundreds of thousands of views each? No. But to be fair after a couple of months of doing videos I realized that there are actually a lot of people that really want to see weird Mario Maker tricks, and it allowed me to take this channel more serious. What advice would you give others looking to get into the video creating game anyway? Just upload a video and see what happens! Finally, what plans do you have for your channel and work in future? Any new types of videos you plan to make, or other games you plan to create content about? There will definitely be more Mario Maker, there is still soooo much potential in this game! Other than that, I plan on doing a look back at the design of all the Mario games, I want to give the toy con garage of Nintendo Labo a shot, there is the new game of the creators of little big planet coming out this year, called dreams, which I want to review at least. Maybe we’ll even take a look at the level creation in detail. Other than that, I do plan to take a look at some interesting design aspects of a couple of upcoming switch games and I really should try to get this Tic Tac Toe level to work! And you know what? We really think you can do it. Seriously, if you can create things like randomised roguelike levels, trick items, no coin levels and direction gimmick levels in Mario Maker’s level editor, then the possibilities for it certainly seem wide enough to make a puzzle game like Tic Tac Toe or Tetris possible here. But hey, whatever happens we’re sure it’ll be impressive none the less. Good luck there Ceave! As for us? 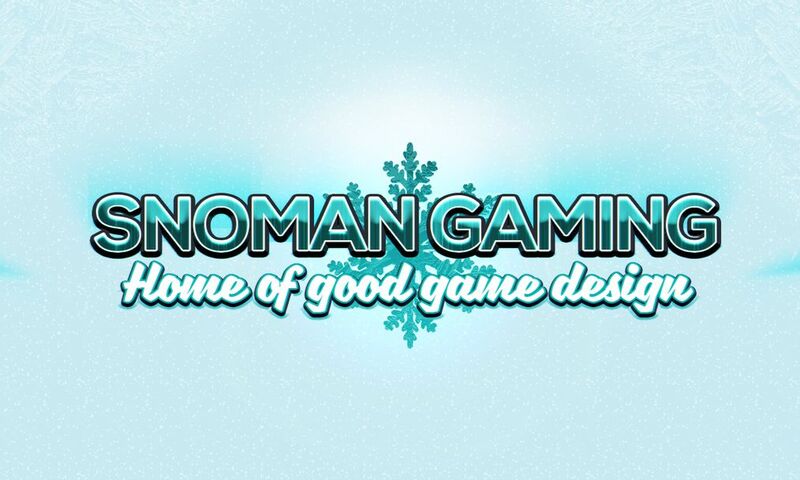 Well we’ll be back later with another interview, hopefully with someone else in either game development or YouTube video making. Hopefully you enjoyed the article, and we’re interested in any feedback you leave on it here in the comments or social media. I saw on YouTube wiki your name is Stefan. So is your name Stefan Ceave or someting. 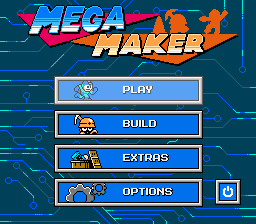 Let’s Interview; Mega Maker Creator Wrecking Programs! 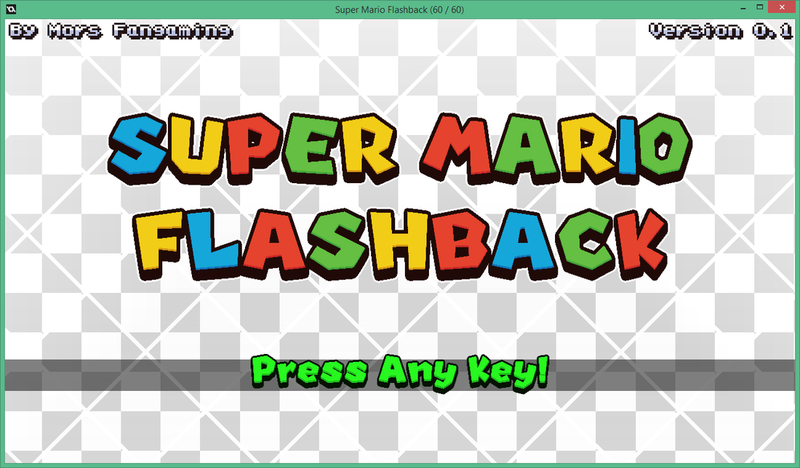 Let’s Interview; Mors of Super Mario Flashback!